Your wedding is just weeks away and the stress and anxiety are slowly seeping in with how much there is to do. 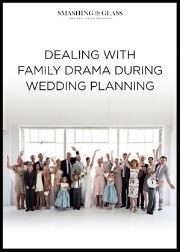 You're knee deep in wedmin, logistics, and people-pleasing and you also may be dealing with conflicting opinions from different sides of the family. Enter Karen, your official peacemaker with all the advice you need for a calm and stress-free lead up to your Big Day! 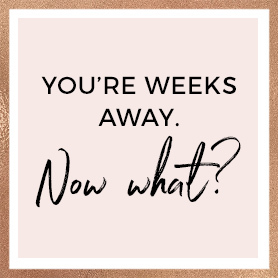 Your wedding is just weeks away - it’s so exciting but I know… it still feels like there’s SO much to do! 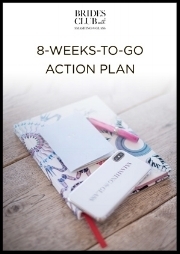 First thing’s first, grab your ‘8 weeks to go action plan’ below - this is literally a life saver for those final few weeks! If you’d rather ‘at-a-glance’ action steps, see below, and then watch the must-see video advice from me at this stage. Buy your smash glass pouch if you haven’t got one already! Think about whether or not you want to see each other a week before the wedding (or just the night before)? Get to know your wedding shoes! Feel them out, break them in… and if despite your best efforts they remain less than comfortable, consider investing in a comfier pair for the reception! and elegant ways to go about it!